Camelot was searching for a cost-effective venue for its 140-delegate nationwide conference and found all it was looking for at the Holiday Inn London - Wembley. 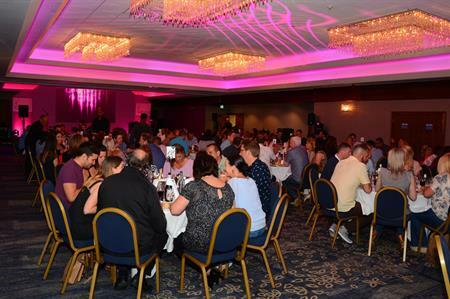 Camelot is the licensed operator of the UK National Lottery and earlier this year it was looking for a venue to host the annual conference for its nationwide sales team. One of the company’s aims is to maximise returns to National Lottery Good Causes in the most socially responsible and cost-efficient way possible. The objectives behind the conference were to share upcoming enhancements that Camelot was making with its sales teams. The client wanted to get theses messages across in the most inspiring and engaging way possible. The Holiday Inn London – Wembley was subsequently chosen for its size and available on-site accommodation. The event required conference space for up to 140 delegates for a day-and-a-half of presentations, which were backed up by workshops and followed by a drinks reception and dinner. Camelot runs the most cost-efficient major lottery in Europe, which meant that the event budget was already limited. Not only did the client have to find a venue that was affordable, but it had to be easily accessible by all forms of transport, as delegates were travelling from all around the country. Areas to set up company branding were also needed, so flexibility within the chosen venue was crucial. The Holiday Inn London – Wembley’s Empire Suite ticked all the boxes for Camelot. As well as being cost-effective, the venue had a strong events team behind it who were able to offer good suggestions on how to cut spending throughout the event. For example, the venue suggested using a partition to divide the events space, which gave Camelot the breakout space they required without having to hire an additional room. Camelot appointed production company M&MR who offered a cheaper alternative to dressing the room by using lighting to dress the venue in the company’s brand colours of blue, white and yellow. Furthermore, Camelot invited former GB Paralympic swimmer Marc Woods to be a guest speaker for the event. Camelot stated that Woods was able to motivate the delegates by revealing true examples of how he had benefited from The National Lottery funding while he was training. "It is always a pleasure returning to the Holiday Inn London - Wembley for our conferences, and the events team always make us feel welcome and at home," says Sally-Ann Twydell, retail capability manager and conference organiser for Camelot. "The Holiday Inn London - Wembley offered us all the space we needed in an accessible location, without the premium price tag you pay for hosting an event in central London."